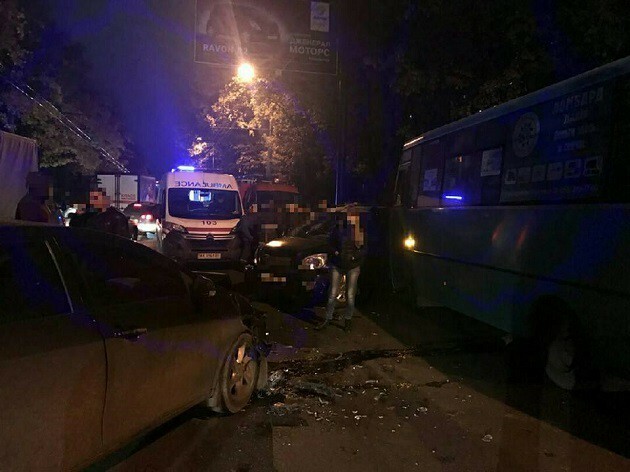 Court arrested Gennady Dronov, the driver of the Volkswagen Touareg – the second car involved in the deadly car accident in Kharkiv on October 18. Dronov is arrested for 42 days without the right to bail. The 112 Ukraine TV channel correspondent reported that on air. "The court hearing has just finished. The judge sustained prosecutor’s motion in all parts, choosing maximum pre-trial restrictions - custodial detention for 42 days without the possibility to bail. The hearing lasted for 10 hours, with 4 hours spent in the jury room. The prosecutor based his position on the prior statement that Dronov may influence the witnesses, namely on his acquaintance who was in his car at the moment of the car accident. Secondly, he may escape. Thirdly, he may drag the case as long as possible, referring to feeling unwell. Fourthly, it’s a high-profile case,” the correspondent reported. “Dronov states he hadn’t violated anything, he pulled into the crossing on the green light and was ready to cooperate with the investigation. After the court hearing Dronov said that he believes the decision is unfair,” the reporter said. was detained for two months without a right for bailment. The court revoked her driver’ license and arrested both cars that participated in the accident. The prosecution stated that Zaitseva used opiates not long before the tragedy occurred. According to the information of the defense, the suspect took the sedatives. Dronov was the witness in this case but the police claimed that his status can change. Later, the court refused to recognize Dronov sustained. Gennady Dronov was served with charge papers on November 2.